Social media has ruined the word ‘sapiosexual’. 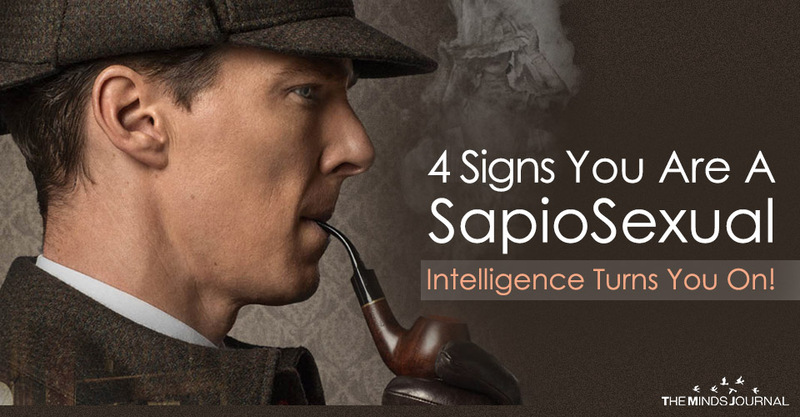 Although it previously meant being attracted to intelligence, people have ruined it to the extent that even a real sapiosexual is considered fake. Sapiosexuals are those individuals whom you would find at libraries with a book under the arm and a cup of coffee in their hands. They are the people you would find going to a small café, the night when the rest of the world goes to see Ariana Grande perform. They don’t care about what’s outside. They care about what’s inside. What really makes you special, instead of your outward beauty, for that is fleeting. They believe that a person’s true appeal comes from the way they think, and not how they look. Sure, being groomed and decked up is all cool, but someone who thinks in a way that is different from the crowd in an ingenious way is what a sapiosexual would look for. But, incessant and unnecessary bios on social media about being a sapiosexual have brought it down to being a subject of ridicule. What people need to realize is that being a sapiosexual doesn’t make you stand apart from the crowd. The crowd isn’t a homogenous mixture, and people from different walks of life coexist together. It has nothing to do with being different, as it is with thinking different. But then again, ‘I think therefore I exist’, so it might have a point after all. Sapiosexuals aren’t that hard to find. In the present society, whenever you see someone reading a book without captioning it on Instagram with the hashtag ‘#bibliophile’, that’s a sapiosexual. When you see someone indulging in a conversation about the pros and cons of directly analyzing a text, instead of talking about the latest Page 3 gossip, that’s a sapiosexual. People have become so immersed with the idea that a sapiosexual is different, that they forget that they are just humans who would like a mental vibe, before a physical one. Are you a sapiosexual? Let’s find out. It’s TGIF. People all around clamoring for the best drinks at a reputed bar in one of the swankiest districts of your town. Yet, there is one person you know, that being you, who is completely bent out of shape at this alien location and would rather be at some place that is quiet, silent and peaceful, aka library. If you spend most of your time at a bookstore, where the bookkeeper knows you and ruffles your hair fondly every day as you go in, you are a Grade A sapiosexual. You believe books to be the salvation from your miserable realm of existence. You would rather buy a book than post it on Instagram. For let’s face it, the number of likes wouldn’t ascertain that you have finished the book or not. What definitely would, is pouring over it until your eyes pain, when the rest of the world is out there, enjoying Cardi B perform. A hallmark of a sapiosexual. You need to argue, even about the lamest of stuff. It doesn’t matter what it is, and who you are arguing against, but that is what you do. Be it in the subway, where you start up a banter, whether the postcolonial writings of Chinua Achebe truly reflect the problems faced by the Nigerians, or whether Charles Dickens was truly a great author or just another simpleton whom the society heralded as the new big thing. It could be anyone, but it is essential to your survival. Even while you are on a date, you would be bantering, maybe about the different varieties of wine that they serve, or the latest budget cuts that have been implemented. Let’s just say, you are WOKE.